It’s easy for negative labels to stick and overtake our image of our children. But educator Estie Arend suggested at this year’s Binyan Shalem Conference that every negative quality has inherent positive qualities within it. The stubborn child = A consistent, determined child. The clingy child = A child who is deeply connected to his mother. The hyperactive child = An energetic child who, if her energy is properly channeled, can do great amounts of good. When we make the effort to see the positive flip-side of our children’s negative traits, we are seeing the true potential of their Divine souls. And we are enabling our children, please G-d, to see their truest selves. A bit of denial of all the stickers we put on our kids today woulf help some of us forget ritaline and all the diagnostics and care we force upon our little neshamas! Today everyone is in a negative category which deprives the parents of their capacity to empower their precious kids! I thought of this after I successfully coaxed my toddler into the stroller, “Positivity is positively the only way to positive parenting.” It is all in our attitude, mental labels and effort. When we put the effort to parent positively we can see awesome results. Thanks for your website which continually helps me be a more positive person and parent! I was at the Pediatrician’s office today for my sons pre operative appointment. He is having surgery iyH’m next week. As we listed his health concerns I found the list daunting. I said to the Pediateician when she asked anything else. I said yes a cute sweet boy made just the way H’shem created him. So easy to get lost in the negativity and labels that we don’t take the time to see the precious neshama in there. When we just look at the neshama the other stuff tends to hide. BH’m. so true…do you want to post his name so we can daven for him? These positive definitions may be applied to ourselves and other adults in our lives too. Such personality traits usually appear early and stay with us for ever. We all need generosity in judgment. In the Shefer method, this is called “not buying the costume.” Without being conscious of it, kids often put on costumes that make them seem (fill in the blank negative character trait) because they get a reaction from us (internal or external or both). When we are not angered, frustrated, or scared by the costume, we are able to see the beautiful soul underneath the costume. The more we relate to the beautiful soul and refuse to “buy the costume,” the more likely the kid is to take it off and be the truly wonderful kid s/he is. Thank you for being a voice of sanity in an over-diagnosed world. Some Doctors may like to apply a label because then they can give a solution. Schools may like to apply a label because then they can apply for funding. Teachers may like labels because then it is not their fault that the child is not succeeding. And parents tend to look at their children and see their own faults magnified. Labels can be helpful if they lead to solutions. 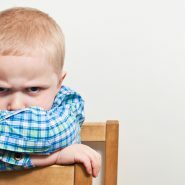 Where they become troublesome is when we use the label to excuse ourselves from connecting with the child or from making progress in helping the child grow. May we all have nachas from all of our children. Ann please don’t drag out the old Ritalin song. Parents like me who give our children Ritalin are doing it to give them the best chance possible to succeed and to have am chance to learn positive behaviour patterns which enable them to be drug free and confident in their abilities in the long term. I am sick of parents who do not have to deal with this challenge judging those who do. For one minute put yourself in the shoes of a mother who’s child is struggling terribly and who needs desperately to have a chance to shine and succeed! Pursuing all other options is on top of many things time consuming and the child in the meantime suffers and becomes even MORE entrenched in his issues as he is dragged from one holistic remedy to the next….. nothing wrong with those but there’s NOTHING wrong with a parent wanting to see their child stop suffering as soon as possible. Please, until you have been there, don’t judge. And if you have kids who need medication and you don’t want to give it to them, that’s your right. Just dont deprive me of mine. Thanks for letting me have this rant…..
BtW love the post. I AGREE and see with my. Own children very clearly how their negatives are also their strongest positives.